In What Were They Thinking? Jeffrey Pfeffer provides engaging answers for business leaders. Graham Duncan (GD): In What Were They Thinking? you include the 28 articles you wrote for your column "The Human Factor" in the Business 2.0 magazine. When you included these articles to the book what changes did you make? Jeffrey Pfeffer: The articles in Business 2.0 were shorter – the articles were restricted to 600 or 650 words. It's not too short to get an idea across but it's certainly too short to include any of the supporting data, evidence, and references for people who want to learn more about the topic. The chapters in my book are about three times that length. They're about 1800 words on average, some are a little bit shorter and some are a tiny bit longer. That is, I think, the right length to capture the nuances and complexities of the ideas, but still make it easily digestible and readable. GD: You tell readers that they should think before they act; they must take into account feedback behavior and their own common sense and patience. Is common sense in short supply in the business world? Jeffrey Pfeffer: I think it is in extremely short supply. Many people in the business world are caught up in the herd mentality or, to use the technical term, "social influence". They want to do what everybody else is doing. If one banker is making loans on sub-prime mortgages, then everybody else thinks that they need to do it. That's just one example. Another example – if people are issuing stock options then everybody must do it regardless of what the evidence suggests. I think that many people and certainly business leaders get caught up in this follow the crowd mentality. They do whatever everybody else is doing, even if it doesn't make any sense. GD: You describe the importance of companies being more than a nexus of contracts or financial transactions between employees and customers. They must be more like communities. What aspect of communities are you referring to when you're talking about this? Jeffrey Pfeffer: Well first of all I'm talking about not throwing people out – not for bad performance but for when times get tough. When you think of a community you think the people take care of each other. GD: Companies are communities that are composed of individuals who are there to support one another? Jeffrey Pfeffer: That idea I think has fallen by the wayside in companies where it is every person for themselves, every nanosecond of the day. When employees have trouble with things like divorces or medical issues and they need financial and emotional support, there are people at companies like Southwest Airlines and Davida that support them. These types of companies raise funds for a ‘rainy day' fund for people facing such temporary difficulties. GD: What are other aspects of communities within businesses? Jeffrey Pfeffer: Another is having an idea of long-term continuity. They don't give the impression that they're here one day and somewhere else the next. By analogy you're not Canadian one day, American the next, and Irish the third day. You're part of a culture and remain largely within that culture. Of course, you appreciate other cultures. There is a certain loyalty and respect which, I think, in some companies have gone by the wayside. Jeffrey Pfeffer: There's too much turnover. GD: Would you describe the importance of a learning culture that tolerates mistakes in an organization? Jeffrey Pfeffer: There's no company that succeeds the first time. This is particularly true in high technology industries such as pharmaceuticals. Viagra is a re-purposed drug. Rogain, which supposedly re-grows hair, is also a re-purposed drug. Many other drugs are re-purposed from other intended uses. You're not going to push the frontiers of technology without having failure. The first time you rode a bike, roller skated, or spoke a foreign language you didn't do it with great proficiency. If you want to build a learning culture you have to encourage people to do things that they're not proficient with – that's what learning is all about. Therefore you have to be willing to tolerate failures. GD: And yet, there seems to be little tolerance for failure and a learning culture in many organizations. Jeffrey Pfeffer: That's exactly right. My friend Gary Loveland who runs Herod's Entertainment talks to new employees during their orientation sessions. The first thing he tells them is all the mistakes he's made running Herod's. He jokes and says, "Most people look at those lists and say they'll never do that badly!" How do you know if a marketing program is going to work if you don't try it? The key is to be willing to experiment and learn from those experiments. GD: How important is attitude in hiring people into a service-oriented business, and would you hire attitude before skills? Jeffrey Pfeffer: One of the mistakes that companies make all the time is they hire based on what people can learn in a week, as opposed to hiring for qualities that aren't going to change in a year or even many years. For a service oriented business you want to hire people who are interested in delivering service and, by the way, aren't going to steal from you either. GD: You say that companies need to accept more responsibility for the costs associated with their employees' training and development. What kinds of return on investments are obtained by improving employee training? Jeffrey Pfeffer: The evidence suggests that employee training is virtually the best investment that companies can make. First of all, it activates the norm of reciprocity so employees say, "You're willing to invest in me so I'm willing to invest in you." Secondly, it builds skills, and thirdly it gives people the confidence to try things and ultimately to succeed. GD: You're on the Board of Directors of the San Francisco Playhouse as well as other non-profit organizations. What can businesses learn from successful non-profit organizations like this? Jeffrey Pfeffer: How to pay attention to their customers. GD: You say before you can manage a customer relationship, you first need to build or create that relationship. Are businesses often relying too much on technology and systems, like customer relationship management software, rather than on "old fashioned" customer service from staff supported by their managers? Jeffrey Pfeffer: Absolutely. In virtually every survey you can find, and I can leave out the word ‘virtually', every survey suggests that people are annoyed by these voice-automated response systems and the inability to talk to a human being that can answer your questions. The data suggests that 90% of the people hate those things but, of course, companies put them in anyway. GD: Is it too simplistic to say that if you satisfy your customers your company will most often perform better financially? Jeffrey Pfeffer: The American Customer Service Index provides evidence that if you satisfy your customers you do better financially. And you'll do better in a variety of different ways. There's been a lot of talk not only about financial measures but also taking care of employees and customers, and investing sufficiently to build products and services aimed at making a company successful into the future. There a many alternative measures that people would do well to pay attention to. GD: What is the best way to build a relationship with your customers? Jeffrey Pfeffer: The best way is to have someone, on the other part of the transaction, who is there to build and cement that relationship. You can see this in retailing were stores have put in all kinds of merchandise and displays, but they don't have any sales staff. It's like a joke; I'm sure you've had that experience. Or you call an airline where you have to listen to a concert while you're waiting for someone to take your call, and then when you finally do get through they want to charge you for talking to someone. It is ridiculous if you think about it because the person you are talking to on the phone can't sell you the tickets. The airlines are now unhappy as are many hotels because they've lost control over their pricing. Well hello! If you send everybody to the Internet you're going to completely lose control over your customers. People comparison shop – most of what these companies have done has made no sense, and that's why many of them are facing financial difficulties. GD:You say that South West Airlines is a company that is taking customer service seriously, and doing a great job. What are some of the things they are doing to make their customers happy that other companies could learn from? Jeffrey Pfeffer: First of all South West Airlines has consistently scored at the top among airlines for customer service satisfaction. You will see that if you look at the American Customer Service Index, which is published out of the University of Michigan. Planes consistently fly on time and they don't lose customers' baggage which, of course, makes customers happy. They don't have a stupid, ridiculous system of charging people extra for this, that and the other thing – such as a soft drink or checking a bag. The company has very good relations with its flight attendants. South West Airlines' motto is ‘we put our employees first, our customers second and our shareholders third'. The result is they have satisfied and happy employees who, in turn, take good care of the customers who will come back. The result is the shareholders are happy. This airline understands what Harvard Business School used to call the ‘value service profit chain' much better than its competitors. GD: You say that shareholder return is a wrong measure of performance for companies in many respects, that there's too much emphasis on stocks and the pricing of their stocks. What would be a better measure of performance, and how could investors be convinced to focus on those measures when considering whether to buy and sell stocks? Jeffrey Pfeffer: I think there are many better measures. If you look at the Great Place to Work website you'll see the companies on that list have outperformed the indices over long periods of time. GD: During the first half of the last century the United States grew to be a large economy by encouraging the best and the brightest to come to America. You say that human capital is a key to the future growth of the economy. Will human capital increasingly become the differentiator for successful business and, indeed, for which countries will and will not prosper? Jeffrey Pfeffer: Definitely. Canada and New Zealand have done a very good job of opening up to highly-skilled immigrants – encouraging skilled people and those with investment funds to immigrate. There are a lot of things Canada and New Zealand have done well in attracting the necessary human capital to grow their economies. GD: Has the President Obama administration demonstrated innovation leadership by reaching out to a diverse talent pool in building its team? Are there lessons here for businesses? Jeffrey Pfeffer: The first lesson is Barack Obama symbolizes many great things. He really wants to hear the truth and build on the basis of facts. If you build a cocoon where you surround yourself only with people who agree with you and tell you what you want to hear, you'll never know what is going on. If you don't know what is going on you may live in a very pleasant dream world but it is, in fact, a dream world. And you will not be able to make sound decisions. GD: What are the lessons here for businesses? Jeffrey Pfeffer: The lesson is you need to build a culture which operates on the basis of evidence and facts. Encourage a climate in which people don't have to agree with you all the time in order to be valued and stay in the organization. GD: Since 2007 you've written a monthly column providing career advice for the Capital economics magazine in Turkey. How did you choose to contribute to this magazine? Jeffrey Pfeffer: They reached out to me. Each month they send me three or four questions, and I respond. Of course, they're not lengthy articles. GD: Do you do any other writing for professional journals? Jeffrey Pfeffer: I also contribute online for The Washington Post and a few columns for B-Net and CDS Interactive Solutions. GD: In addition to management practices, what other things are you passionate about? Jeffrey Pfeffer: Making the world a better, more humane place to live. GD: You say that companies often overlook the importance of determination and resilience in creating successful business outcomes. How important it is to the success of a company, particularly small and entrepreneurial companies? Jeffrey Pfeffer: I think it applies to all companies, large and small. Often organizations give up when things don't work and people inside those organizations also give up. On the other hand, we see companies picking up discarded businesses and turning them around by doing things that are sensible and not giving up. You have to walk a thin line. You don't want to persist at something if it's doomed to terminally fail, but on the other hand you don't want to give up too early. GD: And this applies to individuals? Jeffrey Pfeffer: There is no doubt it applies to individuals. Everybody can do well if things are going fine. The question is who does well when they're facing resistance or opposition, and when things don't go well? My colleague, Jeff Sonnenfeld, co-authored with Andrew Ward an instructive book about this topic – Firing Back: How Great Leaders Rebound After Career Disasters. In it they describe people who have come back from disasters. The topics covered range from organizations such as Cantor Fitzgerald, the global financial services firm, which was decimated in the World Trade Center tragedy to individuals that have similarly faced difficult setbacks. On individual is Martha Stewart, who served a jail sentence, and has re-created herself and re-built her firm. It requires a certain amount of resiliency, and an ability to get back up and do it again after encountering a setback. GD: And to stick with it. Jeffrey Pfeffer: Yes, to stick with it. GD: Your next book is tentatively called Power and Organizational Survival Guide. Has the title been finalized? Jeffrey Pfeffer: I think it's going to be called Power and Organizational Survival Guide, but we haven't settled on the final title yet. GD: Can you describe what topics you will be covering in the book? Jeffrey Pfeffer: I'm going to cover how to get and keep power inside organizations, which is important for those people who want to keep a job. My objective with this book is that no one should have to leave a place of employment involuntarily. Pfeffer provides guidelines and business examples on how to think more deeply and intelligently about these important topics. Ignore obvious answers when principles governing organizational behavior are well established. 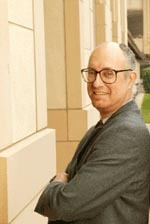 Jeffrey Pfeffer is the Thomas D. Dee II Professor of Organizational Behavior at the Graduate School of Business, Stanford University, where he has taught since 1979. From 2003-2007, Pfeffer wrote a monthly column, "The Human Factor," for the 600,000-person circulation business magazine, Business 2.0. Pfeffer has appeared in segments on CBS Sunday Morning, 60 Minutes, and CNBC as well as television programs in Korea, and has been quoted and featured in news articles from countries around the globe. Pfeffer has presented seminars in 34 countries throughout the world as well as doing consulting and providing executive education for numerous companies, associations, and universities in the United States. Pfeffer is the author or co-author of thirteen books, including What Were They Thinking? : Unconventional Wisdom About Management, Hard Facts, Dangerous Half-Truths And Total Nonsense: Profiting From Evidence-Based Management and The Knowing-Doing Gap: How Smart Companies Turn Knowledge into Action. If you would like us to interview you about an article or book you have written, or an interesting idea, or a business you are involved with, [contact Vern Burkhardt]. Excellent interview with Jeffrey Pfeffer, author of "What Were They Thinking? Unconventional Wisdom About Management". It is very interesting.